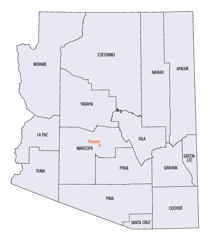 Navajo County is located in the northern part of the state of Arizona. Based on the 2010 census, its population was 107,449. Navajo county was created in 1895. The county seat is Holbrook. The county is named after the Navajo people. Navajo is from Tewa Navahu "big field," referring to the San Juan River Valley. Navajo County comprises the Show Low, AZ Micropolitan Statistical Area. Navajo county is named after the Navajo Native American people. Navajo County was divided from Apache County on March 21, 1895. The first county sheriff was fabled gunman Commodore Perry Owens, who had formerly served as the sheriff of Apache County. The county was the location for many of the actions that played out during the Pleasant Valley War. What is now Navajo County was first included in Yavapai County, but in 1879, the area was added to the newly formed Apache County. By the time it became Navajo County, the railroad had crossed the county for more than a decade, and North America's third largest ranch, the Aztec Land and Cattle Company near Holbrook, had been established. Backed by Easterners, Aztec bought 1 million acres of land from the railroad at 50 cents an acre. A company, known as the Hashknife Outfit because of its brand, brought 33,000 longhorn cattle and 2,200 horses into northern Arizona from Texas. 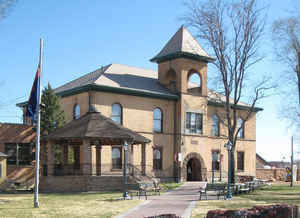 The county seat, Holbrook, was founded in 1881. 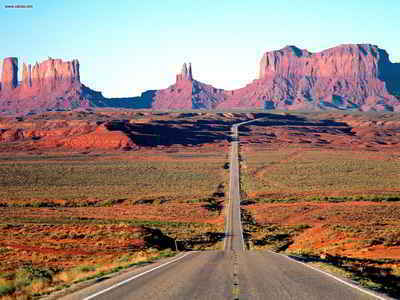 Almost 66 percent of Navajo County's 9,949 square miles is Indian reservation land. Individual and corporate ownership accounts for 18 percent; the US Forest Service and US Bureau of Land Management together control 9 percent; and the state of Arizona owns 5.9 percent. All of Navajo County is an Enterprise Zone. Today, Navajo County's principal industries are tourism, coal mining, manufacturing, timber production and ranching. As reported by the Census Bureau, the county has a total area of 9,960 square miles (25,800 km2), of which 9,950 square miles (25,800 km2) is land and 9.3 square miles (24 km2) (0.09%) is water. Many people think that Arizona is a vast, open desert without vegetation. However, Navajo County offers not only the Monument Valley, but Keams Canyon, part of the Petrified Forest National Park, and the largest stand of Ponderosa Pines in North America. 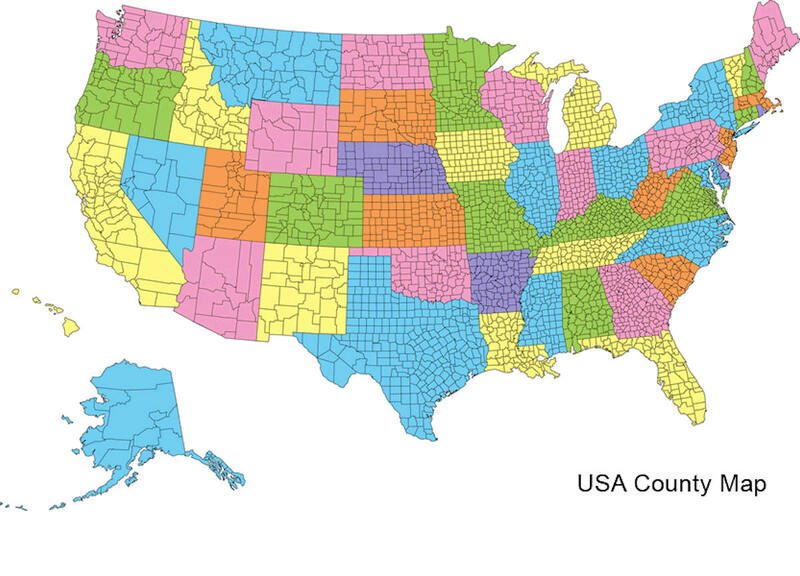 About two-thirds of Navajo County is Navajo, Hopi and White Mountain Apache tribal land. Attractions include; Monument Valley, the Painted Desert and a section of the Mogollon Rim, which cuts across much of Arizona from east to west.